Things have been busy lately, and I have too much to say, but for once I'm going to save my rants about my personal life for the end of this post because I have to talk about this dress first. 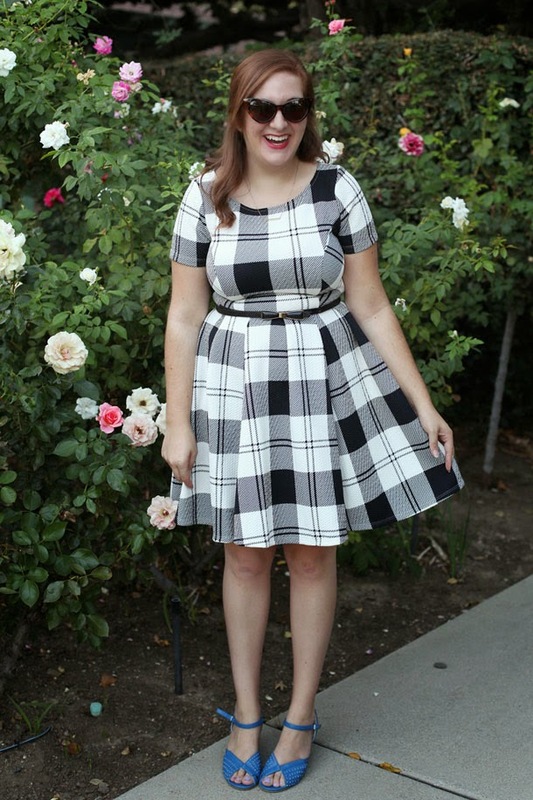 A little while ago, this dress appeared on Modcloth during a week when new arrivals happened to be on sale. I immediately put it in my cart without thinking, as if I were possessed by some sort of dress addict with a problem on par with alcoholism. Just as I was about to make the purchase, however, the logical part of my brain suddenly woke up and yelled at me to shut it down. I really didn't need to spend the money, even if the $65 dress was only $38 for a very limited time. I kept thinking about it all night, but I knew that I did the right thing. Somehow, though, I got lucky. I'm not a big believer in fate, but I have to admit it was a crazy coincidence that my brother and sister-in-law happened to send me my belated birthday present in the form of a Modcloth gift card the very next day. 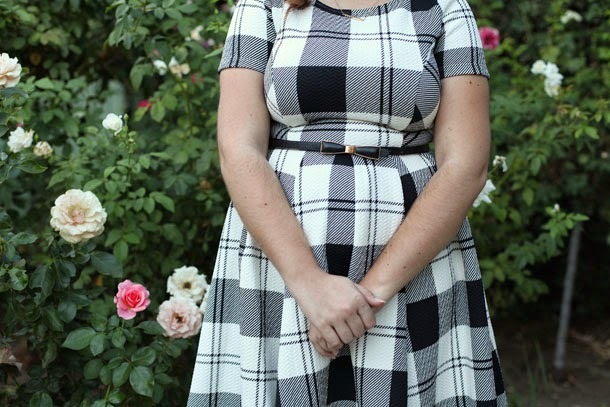 Immediately, I went to the site and put this dress back in my cart. It was kismet. It arrived soon after, and it's just as perfect as I hoped it would be. For my first time wearing it, I went with cat eyes and blue wedges, but I'm already looking forward to colder weather so I can pair it with cardigans and a scarf. 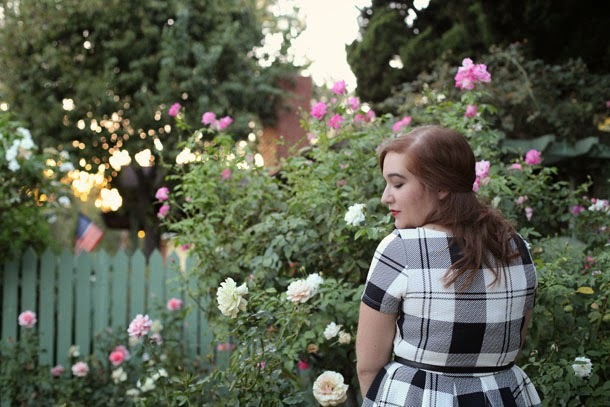 I'm also a little bit obsessed with this set of photos that Elyse took for me, so I kind of can't stop staring at them. Is that narcissistic? Probably. You'd do it too if you had this dress. As for my non-dress life, I've had a great past few days or so, even if they did come with a lack of sleep. I saw "Skeleton Twins," a fairly serious and excellent film starring Kristen Wigg and Bill Hader, on Thursday, watched "The Room," the greatest worst movie ever made (I could talk for hours about this movie. If you like movies that are so bad they're good, this is the holy grail. ), over pizza and margaritas with some good friends on Friday night, and I went to a beautiful wedding for a family friend on Saturday. Yesterday, I continued my coffee tour of Southern California with my friend Chelsea by spending the day in Venice and Santa Monica, drinking iced coffees from Intelligentsia, eating delicious sandwiches, and wandering in and out of adorable stores on Abbot Kinney. I followed it up by getting more coffee with Adam last night, so yeah, I celebrated National Coffee Day like a pro. Other than all of that, I'm gearing up for my FAB Counsel's (the company I'm interning for) blogging event, the FABDILab, next week. It's going to be amazing, with a panel of seriously awesome speakers and tons of networking opportunities, and it's not too late to get tickets if you live in Southern California. Check it out here. I'm so glad you got this dress- it's pretty amazing. I love the structure and the b & w will be so fun for remixing. 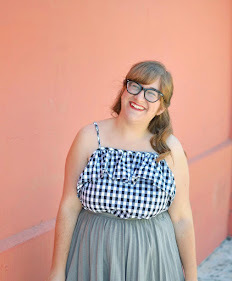 It's so hard to resist stuff on that sight when it's "cheap" for Modcloth but still $40! :) I really want to see Skeleton Twins and now I'm super curious about The Room! This dress is super cute!!! 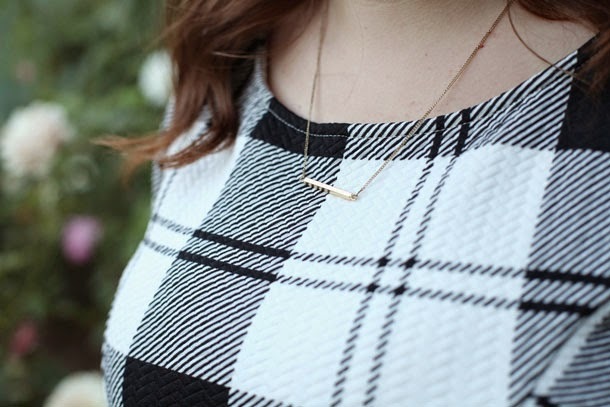 Love the oversized plaid print + the neutral colors are going to make it o easy to wear so many different ways! Hello, cutie!! That's me talking to you and the dress! Love this! I'm glad you got this dress because it's stunning and fits you insanely well. I mean, it was MEANT to be, right? Also that coffee shop is killer. Granted, I've only been to the Chicago one, but also they have an app for coffee brewing methods/timers and it's basically my daily life blood. This dress is perfect. 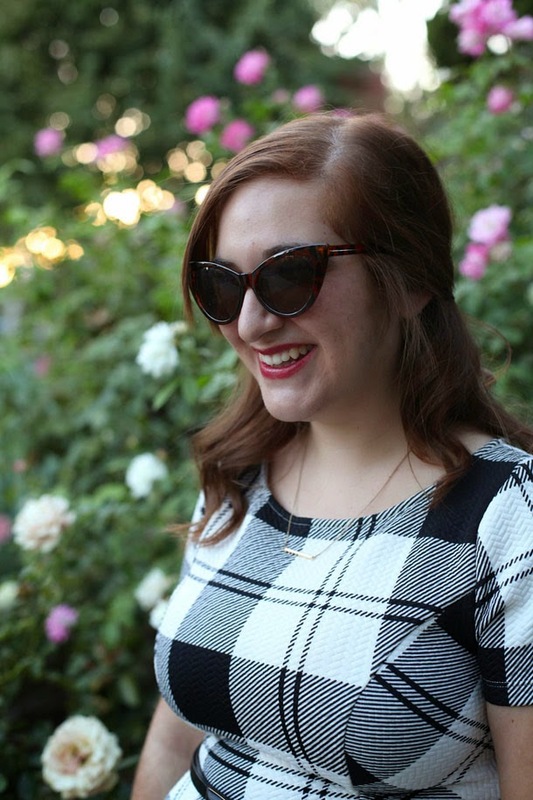 I've had my eyes on one like this from Old Navy, the Buffalo checks just scream cozy Fall! I'm sure it will be great for the upcoming season. And yes, these pictures are beautiful. You are a babe! As a fellow blogger...I know what it's like when you get a really good set of pictures! Share them all! !